(08-23-2017, 09:57 AM)innagee Wrote: Try the other option since Miracle method failed. Review @Administrator's reply, you're to readback recovery.img with SP Flash tool. Yes I'm now trying the second method but still stuck as I don't know what line is Recovery.img in the scatter file attached above when viewing with notepad. (08-24-2017, 12:40 PM)Mr v Wrote: I'm now going for the second option as miracle method was not successful.......Since I'm now going for option 2,Am I to open the MT6753 scatter file in notepad to get the "physical_start_addr = Start"? "partition_size = Length"? ..........If yes please what line is Recovery.img in the MT6753 scatter file attached below? Please assist in giving me the line as this's my first time of reading back any file. I have the recovery image but do not know how to upload it. 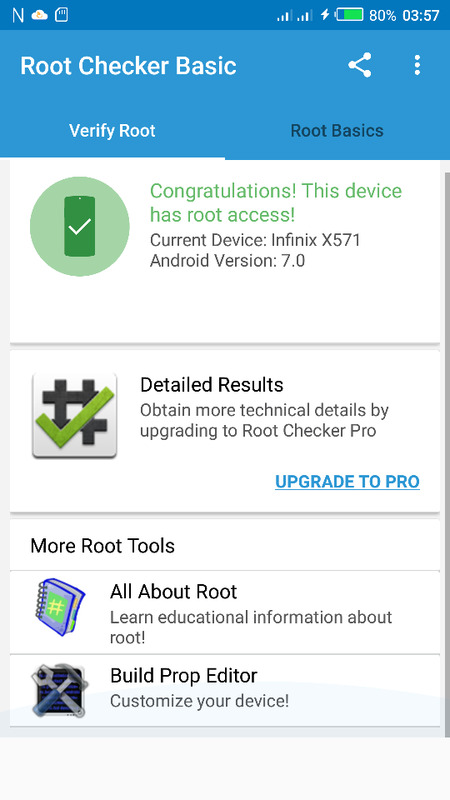 Below is the Mega download link of the read-back Recovery.img file for Infinix Note 4 Pro X571. I uploaded to mega because I was been told here that the file size I'm uploading is too large. Thanks once more, but it's getting real funny here as adb and fastboot is not detecting my device just as it were with miracle box. I was thinking maybe my PC is the issue then I installed ADB on a friends brand new PC with all necessary drivers installed but ADB was still unable to detect my device after running the command "adb device".........could it be that I'm doing something wrongly or Note 4 pro is resisting ADB's command? Please is it possible to flash this recovery with Sp flashtool using the MT6753 Scatter file? (08-25-2017, 04:07 PM)Mr v Wrote: Thanks once more, but it's getting real funny here as adb and fastboot is not detecting my device just as it were with miracle box. Please, don't use that scatter file to flash in SP Flash tool. Its a generic scatter file for your chip, not exactly for your model. BTW, does adb detect other Android phones around you? (08-25-2017, 07:10 PM)hovatek Wrote: Please, don't use that scatter file to flash in SP Flash tool. Its a generic scatter file for your chip, not exactly for your model. Wow This guide actually worked,my device is finally rooted.But there's only one downside I'm still trying to find a fix for.Stock. recovery always overrides the custom recovery I flashed,so I had to constantly re-flash whenever I'm to boot to recovery. I've tried the most common fix for such issue which is "after flash don't boot immediately but pull out the battery for some few seconds,re-insert and boot so custom recovery won't be overridden" But actually this ain't working at the moment.I'll try it out some more later in the day.Just want to quick let you know your hard work paid off sir.Thanks very much for the responses and further assistance. @ Mr v, were you able to backup your rom after flashing? (08-26-2017, 08:13 AM)Mr v Wrote: I've tried the most common fix for such issue which is "after flash don't boot immediately but pull out the battery for some few seconds,re-insert and boot so custom recovery won't be overridden" But actually this ain't working at the moment.I'll try it out some more later in the day.Just want to quick let you know your hard work paid off sir.Thanks very much for the responses and further assistance.